Smoker Carving Kit The Bradley Smoker carving kit helps you slice and serve your favorite foods with ease. Keep your carving skills sharp and on point, with this five-piece set of carving tools. Magnets on either side of the case let you hang the kit on the side of a smoker, or any metal surface. 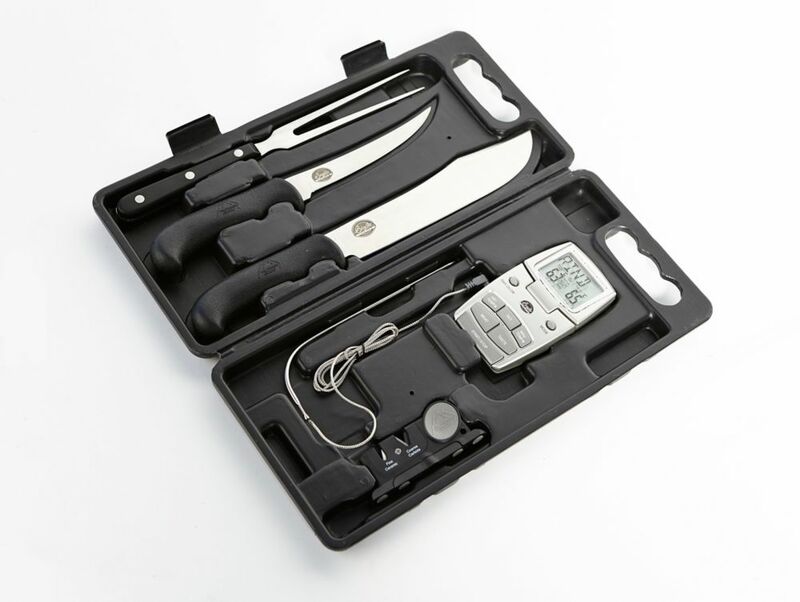 Smoker Carving Kit is rated 5.0 out of 5 by 1. Rated 5 out of 5 by Kenny from Works amazing! The kit isn't cheaply made, the knife works great. Thermometer works great. Overall great product!